PhD in Natural Resource Economics, University of California at Davis; MS in Applied Economics, Montana State University, Bozeman. Professor and Head of the Department of Agricultural Economics and Rural Sociology, University of Idaho. Researches seafood marketing and international trade in seafood products. 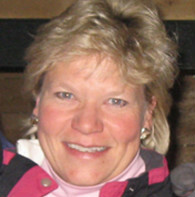 Former: Professor in the Department of Environmental and Natural Resource Economics, University of Rhode Island; Director, URI Sustainable Seafood Initiative; President, International Institute of Fisheries Economics and Trade (IIFET); Editor, Marine Resource Economics journal; Stakeholder Advisory Council, Marine Stewardship Council. Member of Scientific Advisory Board, Monterey Bay Aquarium Seafood Watch Program. Has published extensively in the area of seafood markets and international trade.